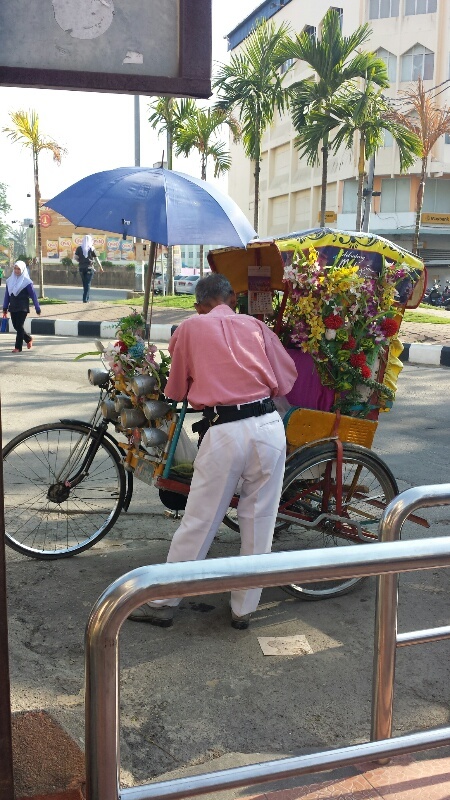 An elderly driver stood by his trishaw with fog lamps as props in Kota Bharu. 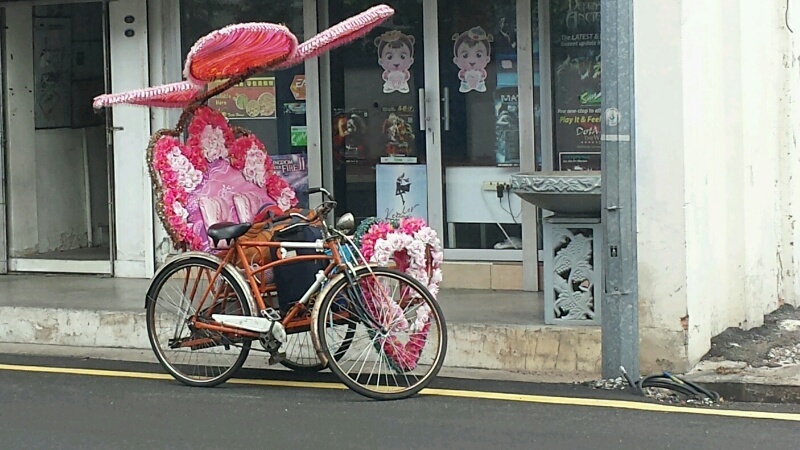 Seems Malaysia has this penchant for artificial flower adorned trishaws. 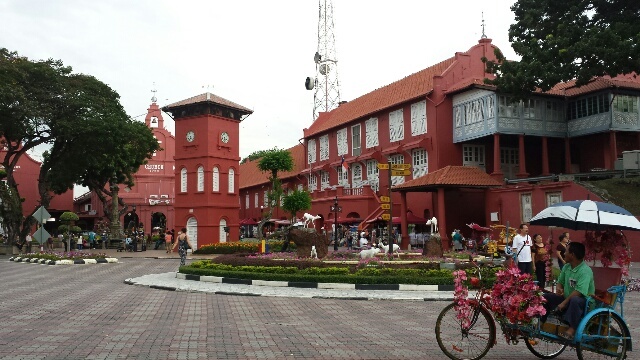 I have two more pictures below from Melaka to prove this.